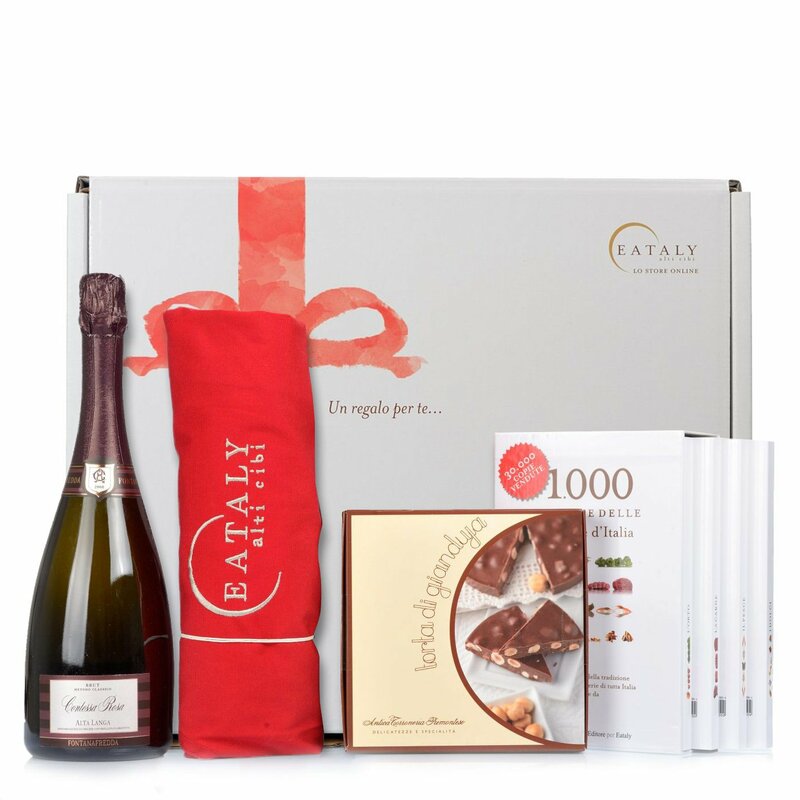 Gianduja cake and spumante brut for your celebrations. A recipe book and apron to continue to celebrate throughout the year. An artisanal dessert based on pure milk chocolate and Piedmont IGP hazelnuts, perfect for a delicious snack. A traditional method spumante made from Pinot Nero and Chardonnay grapes resulting in distinctive orange blossom, pomegranate and plum notes. Recipes from the top Italian eateries gathered together by Eataly and Slow Food. The indispensable apparel for the real chef in the kitchen. 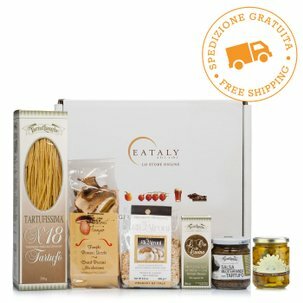 Eataly delivers all the wholesomeness and sweet flavours of the best Italian products direct to your door. This hamper contains: 1. Slow Food for Eataly - 1000 Ricette per Eataly (1000 Recipes for Eataly), 2. Eataly - Red Apron, 3. Fontanafredda - Alta Langa Contessa Rosa 2008 0.75l, 4. Antica Torroneria Piemontese - Gianduja Cake 300g, 5. Made in Eataly - Medium Gift Hamper 36X31X10.